We’ve previously written about why we’re overstating the impact technology will have on football (soccer) refereeing, but this focused more on things like goal-line technology to remove human error. Now, however, it seems that the refs’ humble notepad and pen could be on their way out too. A referee may use his/her notepad for anything – noting down substitutions, red/yellow cards or any other on-field incident. 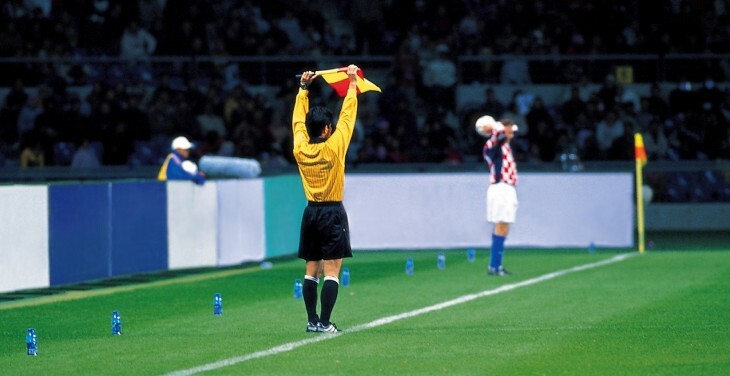 Now, European startup Siine (see previous coverage here) has launched Referee Pro, a smartphone app that will see the first ever football match kick off today with a professional match official using his mobile phone to record events, as well as dishing out yellow and red cards. When I first got wind of this news, I did do a double-take. But having delved a little deeper, it seems this is all legit. The match in question is a Cup Final taking place in Mexico, as part of the Mexican Indoor Football League, featuring many former stars from the national league joining once their main careers are over. In the match today, the official will use a Samsung Galaxy S3, and all refereeing decisions will be beamed to a Twitter account, which will display instant verification of who scored or fouled. Top athletes are increasingly turning to technology as they strive to stay ahead of the game. From iOS-connected football boots, to data-driven tennis racquets, we’re seeing a real shift towards digitally-enhanced sportspeople, but the refereeing aspect of the beautiful game is often criticized for not embracing technological advances. So, this is a significant development. Kicking thing off in Mexico will likely garner interest from other regions, and Siine tell us that there ARE immediate plans to work with referee organizations in the US, UK, and Spain, with a view towards rolling out the technology there. However, there are elements I’m not so sure about. Issuing a yellow/red card via a smartphone isn’t visible to the fans…you have to be able to see the screen of the phone to observe the color. As it stands, it seems, fans must be following the Twitter account to be able to observe this decision, but this is a minor issue. In bigger stadiums, it should be possible to beam this directly to a giant screen, so fans can see whether the ref has issued a red or a yellow card. In terms of Siine, well, given that it specializes in shorthand signaling interfaces to help sidestep laborious typing, this development offered the perfect challenge for applying its technology, as it “buttonizes” words and phrases, and provides efficient ways to capture and transmit the data automatically. Referee Pro aims to be the reference Digital Referee Signal System (DRSS) of choice for referees, not only at an official and professional level, but also among amateurs who want to track, share and gather stats on their games. With that in mind, a consumer version will be released in the coming months for both Android and iOS devices. Check out the official promo video below, showing the app in action.